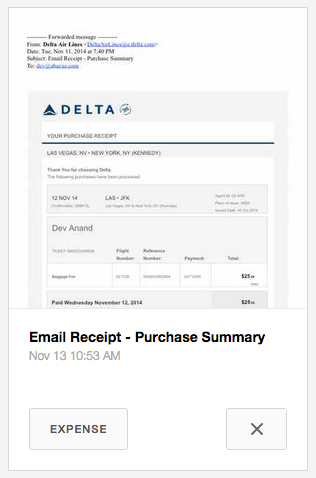 You can forward any email (JetBlue receipts, App Store receipts, etc.) to receipts@abacus.com. We’ll match your email address to your account, and turn the email into a PDF. We also handle PDF, JPG, or PNG attachments. You will also be assigned a dedicated receipt forwarding email. 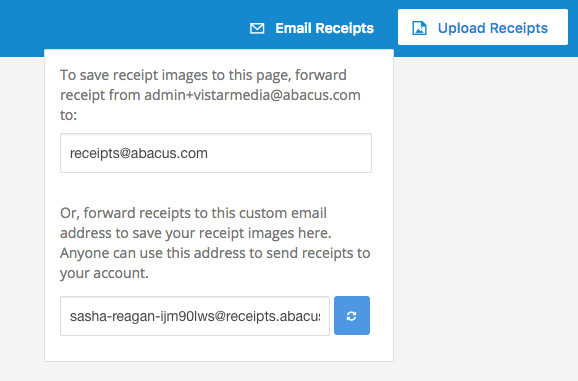 Anybody can use this email address to forward receipts to your personal receipts page in Abacus. This might come in handy if you are purchasing something on behalf of a colleague, and need a receipt to be sent to that person's receipts page. To access this email address, click on the "EMAIL RECEIPT" button on your receipts page. You can regenerate this receipt if need be, by clicking the button in the lower right hand corner. 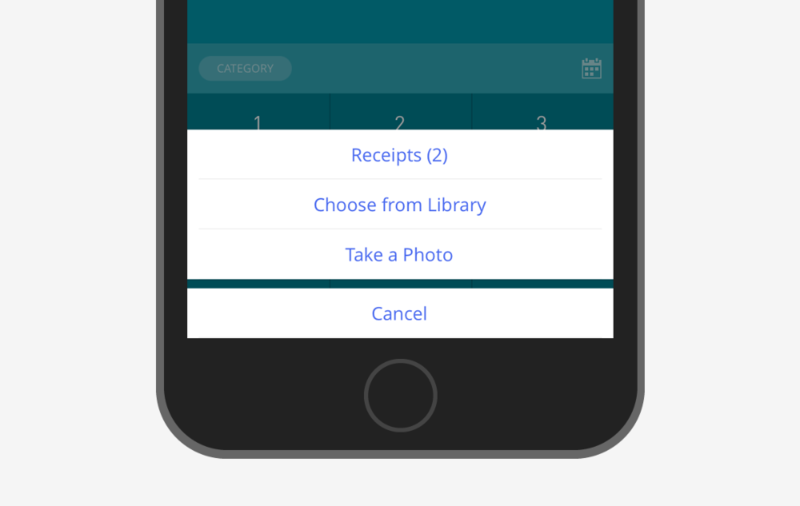 When you send in your receipts, you might notice some variation in how the information is pulled in. The main inconsistency is in the Notes attached to the receipts. When the receipt is forwarded from Gmail, the Note attached to the receipt will auto-populate with the subject line of the email that you forwarded. So if the subject line for a Lyft receipt read, "Your Wednesday night trip with Luis", this would automatically populate in the Note line of the receipt when you clicked "Expense." For any other email formats, it is best practice to review the Notes attached to the receipts before you submit them. It may vary between email services, but you most likely will need to type in the Note yourself.